So then ladies, how do we feel about men’s fashion? Men’s closets are brimming with items we love to steal. We look back at Men’s Fashion Week Fall-Winter 2017/18, where a powerful yet subtle storm was taking shape. A wind of change is blowing through XY fashion. With a society in crisis and the outlook decidedly hazy, a new type of haute couture is emerging. It’s time to say adios to the luxe and bling of the last decade. Designers are going back to basics, inspired by what’s happening in the streets. The idea is to mix up workwear with a strong sprinkling of coolitude. Think fantasy-fueled sportswear that still works brilliantly at the office: smart, ultra-elegant pieces infused with the outdoors. And this radical change extends to the very foundations of the catwalk. For the first time in history, three brands unveiled their Women’s FW 2017/18 collection during Men’s Fashion Week in Paris. 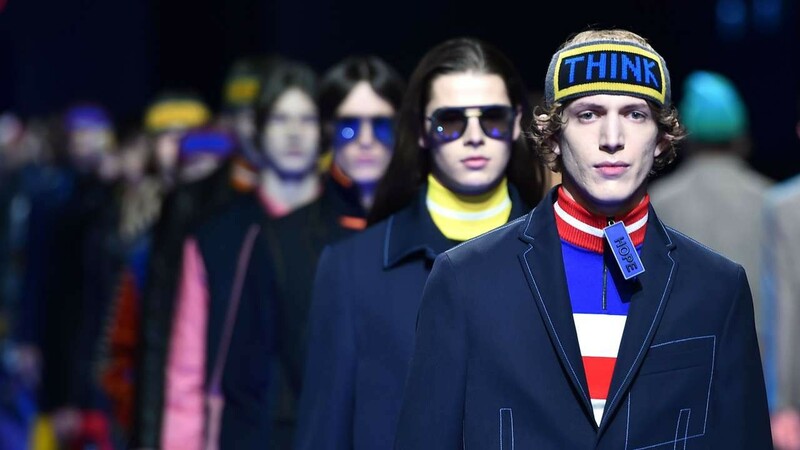 Kenzo, Paul Smith and Julien David all chose to walk men and women side by side in a combined show. But don’t jump the gun! We’re not talking about women wearing men’s clothes here. According to Paul Smith, the collections were shown in parallel in order to provide an overall coherence, highlighting the distinctive features, similarities and differences between the two. And when it comes to similarities, there were plenty of ideas we could pinch from men’s fashion for our next winter season. 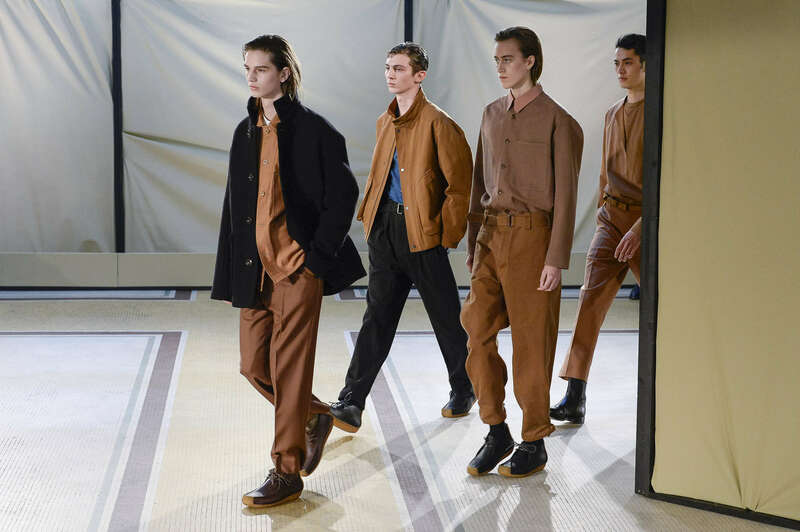 Lemaire, the brand created by designers Christophe Lemaire and Sarah-Linh Tran, offers an understated masculine wardrobe in black and earthy tones. Our ochre studded loafers embody this trend perfectly. Generously-cut tweed coats open to reveal sweaters tucked into ‘half-mast’ pants, elegantly showcasing what is worn on the feet. With performance and immediacy high on the agenda, fashion no longer has a single vision, but rather draws inspiration from the pop, digital and cultural spheres. “Comfort is what guides our collections,” confirm the designers behind the Cottweiler brand. Rock and underground trends are making way for comfort and well-being. For freedom, fantasy and optimism, and for a real return to the basics - immaculate cuts and strong, powerful pieces. Nothing is out of bounds!